I am very glad to inform you that, after 25 years of experience in general practice. 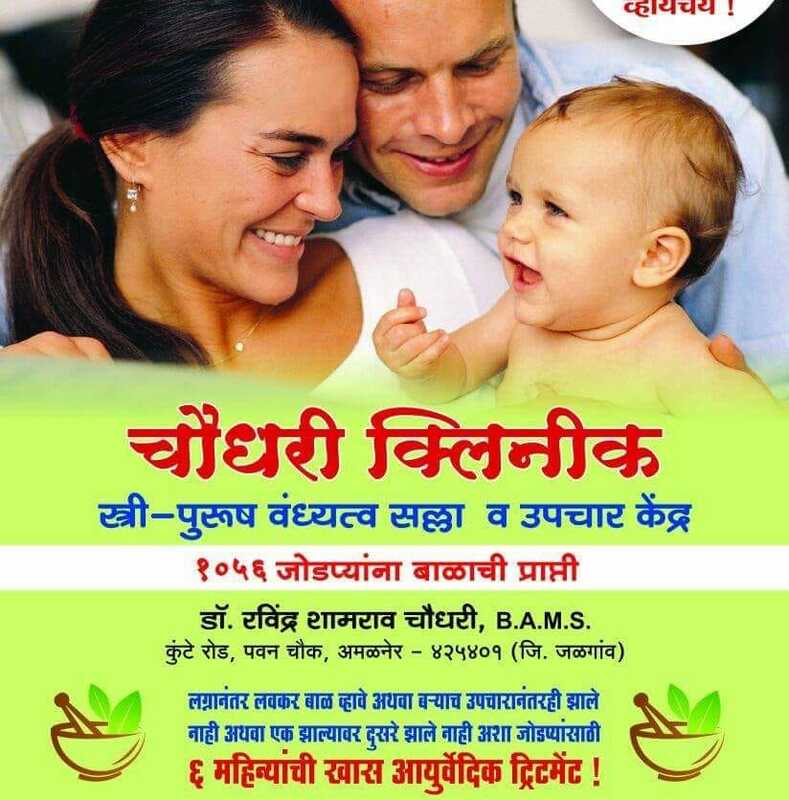 I have started "Infertility Consultation and Treatment Center". Since January 2004, up till now it has benefited 1176 couples out of which 208 couples have given positive results within just one month of treatment. Those couples who desire to be parents very soon or those who do not conceive even after a long term treatment or those who have difficulty in having second child and for couples, who do not have success with any other treatment. For such couples there is a special 6 months Ayurvedic Treatment. The treatment can be started initially depositing Rs. 12,000/- only. * Please read Terms and Conditions carefully.